Our name says it all. 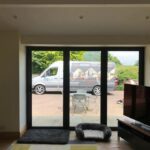 Northwest Bifolds are your local specialist and expert supplier providing a choice of top quality bifolding doors and frameless slide and fold doors. The bifolding door is today one of the most desirable home improvement products after your new windows. 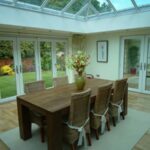 No other glazed product offers the flexibility and desirability that a bifolding door can and how it can transform a kitchen, living room or any room in the home. Northwest Bifolds providing luxury affordable bifolding doors. With so many of us renovating our homes, extending our living spaces and wanting to make more of our outside space, nothing is better than a bifolding door. But it is important to make sure you choose an experienced and knowledgeable installer of quality doors. 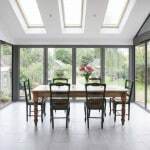 The complex nature of how bifolding doors slide, fold and are manufactured makes it very important to choose the right product and the right supplier. 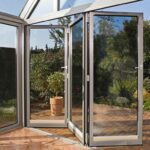 Our exceptional range of quality aluminium bifolding doors are market leading, tried and tested and come with many unique features and innovations. All are guaranteed to be weathertight, secure, keep your home warm in winter and above all be the feature of your home and make a real statement. Contact us for a free no obligation quotation and discover why your doors will be individually manufactured specifically for you, will be tailored to your precise requirements and above all be beautiful, reliable and provide years of joy and trouble free operation. We offer aluminium bifolding doors from the leading names such as Origin, Schuco and the unique Frameless Bifolding Door. Origin doors are British designed and manufactured from the undisputed leader in aluminium bifolding doors. Backed by exceptional customer care and attention to detail, Origin doors are competitively priced, exceptional and guaranteed to add the wow factor to your home. Schuco Bifolding Doors are regarded as one of the finest doors you can buy. Comprising sophisticated German engineering and design, they can be made larger and taller than many other doors and are also the slimmest. Our premium Reynaers folding doors are one of the top-end brands in the UK. Choose Reynaers for engineering, top quality components, slim sight lines and a very desirable brand. We offer these with a wide choice of profiles, and up to four differnt types of door thresholds. AluK Bifolding doors offer great security, impressive thermal performance and a choice of standard or heavy duty doors ideal for retail or other commercial applications. They feature a choice of frame profiles and unique pop out T handles for a seamless flush appearance. 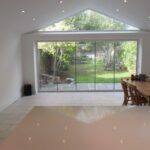 Discover our innovative and dramatic range of all glass bifolding doors that will truly change your home and your views. Benefitting from virtually no frame, sophisticated high end glass technology and uninterrupted all glass views we are the only supplier of these highly unique doors in the Northwest. The latest bifolding door on the UK market with thin lines, smooth glide technology and premium door furniture. Our Evolution Bifolding Doors are contemporary and slimline. Sight lines at the door mullions of just 133mm make this door ideal for maximum glass and the best views. You can even create expansive doors up to 3 metres high.